Trader Joe's issued a voluntary recall on this ginger beer and will refund customers who purchased it. "Popping bottles" has new meaning. 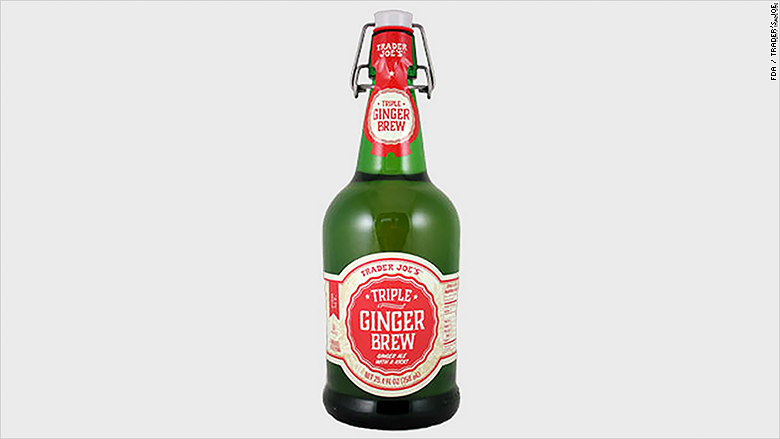 Trader Joe's announced a recall of its Triple Ginger Brew after customers reported that some unopened bottles were "shattering or bursting." The affected bottles are in stores across the country and were purchased between November 9 and December 14. According to Trader Joe's, the soda itself is safe to drink -- it's just the bottles that are dangerous. All of the affected bottles have been removed from shelves, and there haven't been any reported injuries or illnesses. Customers are advised to get rid of the bottles "immediately," and contact customer service at (626) 599-3817 for a refund.